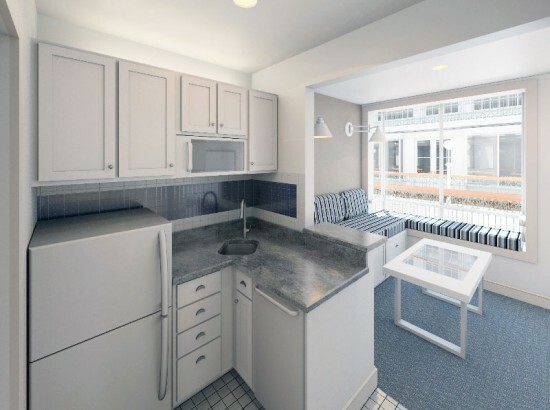 Think you could live in just 325 square feet? 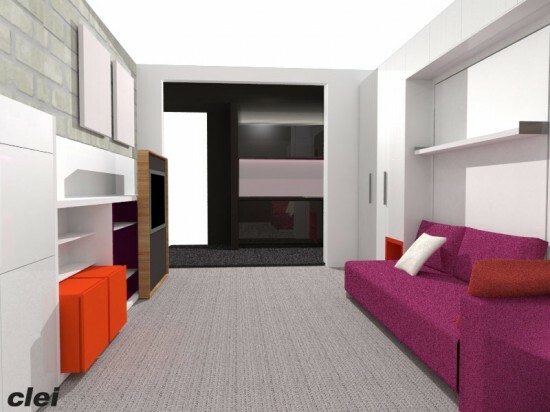 While Manhattan is already famous for its cramped quarters, micro-apartments are poised to take space efficiency to the next level with Murphy beds lurking behind sofas and roll-away walls concealing closets. You'll have a chance to test drive one of the tiny abodes at a new exhibition, Making Room: New Models for Housing New Yorkers, organized by the Museum of the City of New York and the Citizens Housing & Planning Council. Opening on January 23, the exhibition will include a full-scale, furnished mock-up of a micro-apartment, highlighting the changing ways city-dwellers live, especially as more and more choose to live alone. The sample unit will feature highly adaptable furniture by companies such as Resource Furniture that makes a micro-apartment lifestyle possible. Making Room will also unveil the top designs for Mayor Michael Bloomberg's adAPT micro-apartment design competition, showcasing proposals from various architects and developers for what will eventually be New York's first entirely micro-apartment building on East 27th Street. Organizers are also hosting an exclusive opening party the day before the exhibition opening, Tuesday, January 22, from 6:00 to 8:00 pm at the Museum of the City of New York, where you might see Honorary Exhibition Chair and New York City Planning Chair Amanda Burden, who has been vocally delighted with the concept. Making Room runs through September 2013.